Brahmpushpi Capsules Review - Are Memory Booster Pills Effective? Are Ayurvedic Memory Booster Pills Effective? We commonly come across dazzling advertisements of various brain power enhancers such as take so and so memory boosters to get sharpened and improved memory. It sounds quite similar to this situation – just as we take tonic to get rid of cold and cough, similarly we can acquire razor sharp memory just by using memory boosters. Are they trying to say that consume memory enhancer capsules and become Einstein in just a month? Well, there is no denying the fact that no one can do that and any pill in the whole world cannot make you an overnight genius. Then, what will we achieve after taking these memory booster pills? For that we need to understand briefly about working of memory, characteristics of sharp memory, reasons of memory loss and measures to increase memory. Before starting our review of Brahmpushpi ayurvedic memory boosters, we will throw some light about the fundamentals of memory. Memory is the ability to store, retain, recall and remember past experiences. Human memory is one the most complex, vast and elusive attributes and scientists have been brainstorming and experimenting since centuries to find out the actual process how we remember different things at different points of time. Its capacity is as large as 2.5 petabytes or a million gigabytes. Memories are stored in our brain in an intricate and brain-wide distributed neural network. In case we want to retrieve certain memory, different areas of our brain get activated such as visual cortex, language area, motor cortex, etc. and work in conjugation to achieve a combined net output. A sharp memory is characterized by the ability for faster retrieval of a past experience or learned fact at a required time and to use that experience or knowledge in present in an effective manner. There are several factors that may contribute to a weakened memory which we are listing below. Alcoholism, drug abuse and tobacco intake are recognized as major reasons for poor memory and memory loss. Smoking is detrimental to our brain as it limits the oxygen supply. Chronic alcoholism and illegal drugs intake may wreck havoc to our brain power by disturbing the chemical balance and hence, people have difficulty in recalling memories. Certain medications such as prescribed antihistamines, antidepressants, tranquillizers, sleeping pills, anti-anxiety medicines, pain killers and muscle relaxants are fatal for our health leaving many pernicious side-effects tampering our sharp memory. Stress and depression provoke lack of attention, concentration and focus resulting in rapid memory loss. Emotional trauma and tension could be a huge distraction for us to remember vital things. Nutritional deficiencies of vitamins B1 and B12 can lead to loss of memory and brain function. One must take a balanced and healthy diet rich in proteins and fats that are essential for maintaining a normal brain function. Insomnia and sleep deprivation can trigger poor memory and brain function. A sound sleep without any disturbance is highly recommended i.e. both quantity and quality of sleep is beneficial for fast memory retrieval and clarity of thinking. Stroke is a condition in which the blood supply to our brain is completely stopped due to reasons like blocking and clotting of blood in arteries, leakage of blood out of a blood vessel, etc. Strokes are generally responsible for short-term memory loss such that a person may have vivid memories of childhood but is unable to remember trivial things that happened yesterday. Brain and head injuries such as accidents or severe hit on head can lead to short-term as well as long-term memory loss. Diseases like Alzheimer’s disease, tuberculosis, HIV, diabetes, high cholesterol, syphilis, etc. may also cause poor memory. Aging also contributes to weak and poor memory and brain function. Hence, we see that controllable factors are taking deep sleep, good nutrition and abstaining from bad or sedentary lifestyle activities if one wants to obtain improved memory. By taking ayurvedic memory booster in place of allopathic ones will work wonders in this regard. Why to Use Natural Brain Enhancers? Natural memory boosting supplements are comprised of crucial herbs and nutrients that increase alertness, focus, clarity of thinking, attention, concentration and memory power. Most people have already noticed positive results of these memory boosting herbal products in terms of more focus, alertness, processing of brain and motivational levels. Ayurvedic brain power boosters tend to stimulate mental activity as they have a rare combination of different brain enhancing compounds in them, in contrast with an allopathic drug like amphetamine, which is basically comprised of only one compound or molecule. Omega-3 fatty acid and docosahexaenoic acid (DHA) are important compounds for the development of our brain and one must include them in diet as well as our memory enhancing supplements must be made out of them. 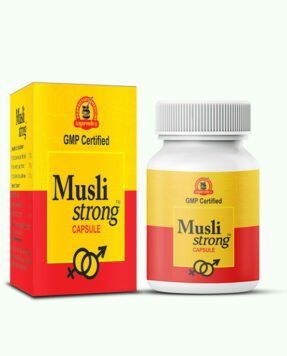 Also, there is no risk of side effects due to natural memory enhancers and are 100% safe to use. 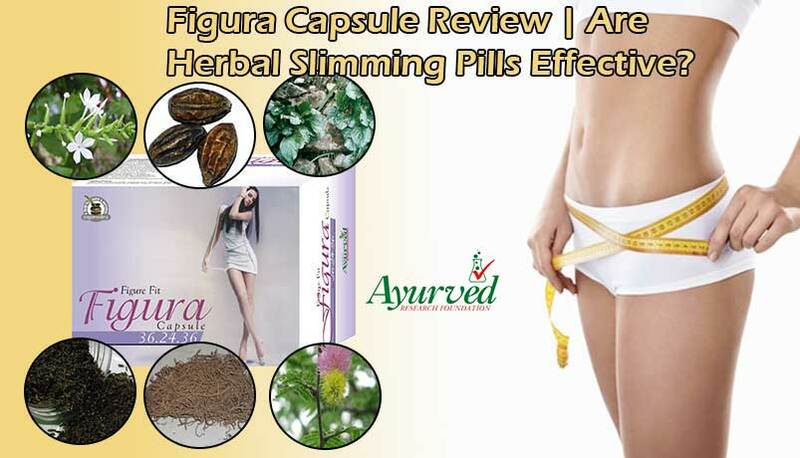 Hence, we suggest in our review of ayurvedic memory booster pills that herbal remedies are better and wiser option to increase memory and concentration. 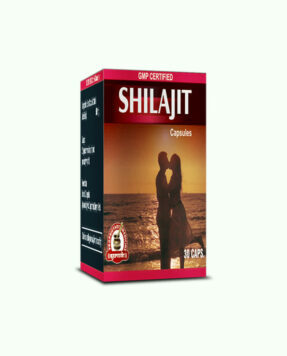 This ayurvedic herb is especially efficient in case of boosting memory, intelligence and concentration. All nervous system disease and disorders such as neuropathy, tumors, etc. are mitigated by taking Swarna Bhasma. Rajat Bhasma is a widely used ayurvedic treatment for dizziness, memory loss, constipation and low immunity level. It also aids in reducing Vata. Jatamansi is commonly found in the alpine regions of Himalayas and is a potent ayurvedic herb in dealing with neuropsychiatric and skin diseases. Brahmi is a great ayurvedic ingredient when it comes to increasing mental health. It serves as an amazing nerve tonic that improves memory, focus and concentration. It brings back youthfulness and agility. Jyotishmati consists of immense benefits such as enhancing potency, digestion and most of all, improves memory and intelligence. 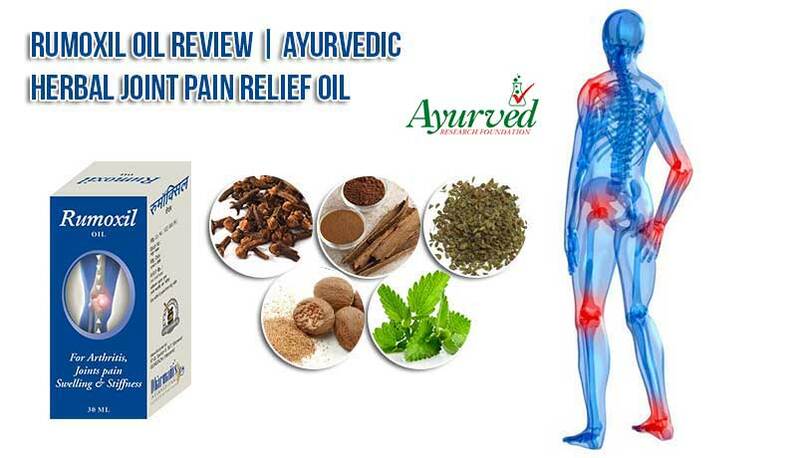 Oil extracted out of this herb is helpful in treating several skin diseases. Shatavari is packed with amazing healing powers and balances out Pitta dosha and hormonal balance. That’s why it is a potent herb to improve digestion and brain power. 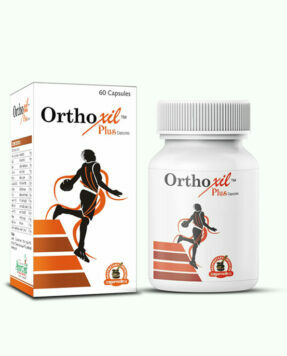 One must consume 1 or 2 Brahmpushpi capsules twice a day with water regularly for around 3 to 4 months to acquire impressive results. 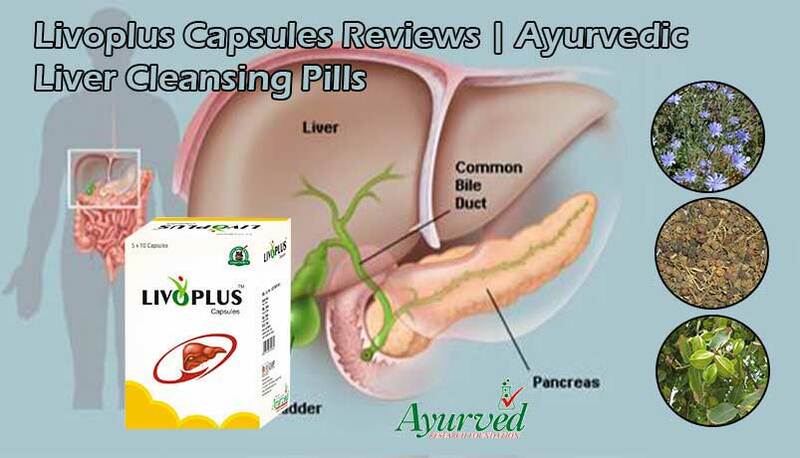 The safety and reliability of Brahmpushpi ayurvedic memory booster pills has been well-researched and time-tested and has got the validation and testimony of several ayurvedic experts and users. 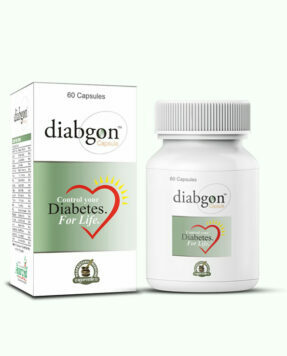 These pills do not produce any kind of side effects over prolonged usage or even after we abruptly stop taking them. They are absolutely safe and sound unlike allopathic remedies. How long do we have to take them to see results? It is generally recommended to take these herbal memory booster pills for a time period of 3 to 4 months in order to get amazing results. It will be of no use to take them infrequently and having gaps between doses. One must stick to the directions unfailingly and also include healthy lifestyle habits in order to avail optimum results. Brahmpushpi ayurvedic memory booster pills are 100% free from side effects all due to pure natural composition and presence of pristine quality ayurvedic herbs. They maintain overall mental health of a person and improve focus, concentration, alertness, learning ability, intellect and memory. The unique herbal blend of Brahmpushpi ayurvedic memory booster supplements helps in promoting recovery of brain function and activates brain cells. All the nutritional deficiencies are alleviated on regular intake of Brahmpushpi capsules that delay the aging process of brain cells. These ayurvedic memory boosters also aid in enhancing brain tissue metabolism, stimulate blood circulation and regulate central nervous system. As Brahmpushpi capsules are non-prescription remedies, these herbal memory booster supplements are unavailable in the nearby medical shops and can be ordered only from online means. These ayurvedic memory enhancers are comparatively slow as compared to allopathic medicines and take a time frame of 3 to 4 months to show considerable improvement. One also needs to follow active and healthy lifestyle mannerisms such as eating nutritious food, taking proper sleep and abstaining from alcohol, tobacco, smoking, etc. 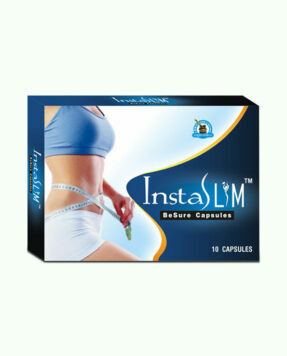 along with these capsules to acquire optimum results. 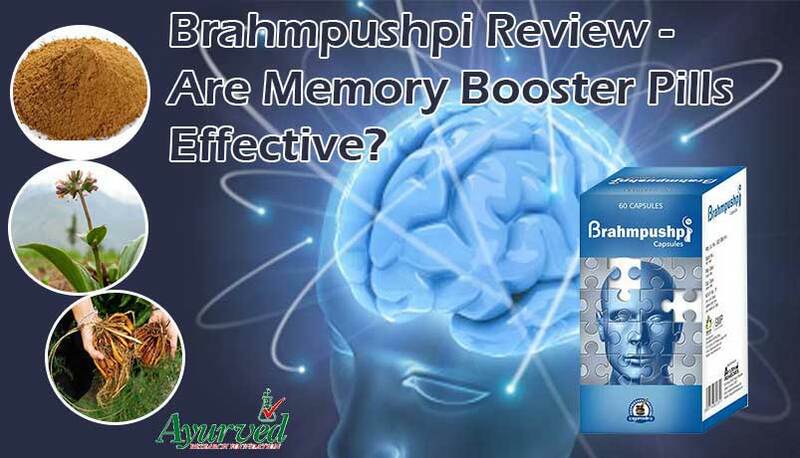 => Buy Brahmpushpi Herbal Memory Booster Pills to Enhance Brain Power.